Cramer & Anderson Partner Daniel E. Casagrande filed a brief in New Britain Superior Court Aug. 9 detailing a long list of errors committed by the Connecticut Siting Council in allowing plans to proceed for what would be one of the state’s largest solar power farms. The Siting Council paved the way for a 20 megawatt solar photovoltaic facility on a mountain in New Milford, Conn., by approving a petition from applicant Candlewood Solar, LLC seeking a declaratory ruling that no Certificate of Environmental Compatibility and Public Need was required for the construction, operation and maintenance of the solar power farm. The appeal of the Siting Council’s ruling was filed Feb. 1 by Attorney Casagrande on behalf of the organization Rescue Candlewood Mountain, Lisa K. Ostrove, Michael H. Ostrove, and Candlelight Farms Aviation, LLC. This project calls for the destruction of 87 acres of valuable core forestland (15,000 trees) on Candlewood Mountain in New Milford to make way for a 20 MW solar energy facility generating 20 MW of electricity to be sold to utilities in Massachusetts and Rhode Island. 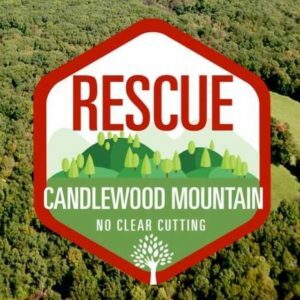 Rescue Candlewood Mountain is a volunteer association of individuals who organized to oppose this project before the Siting Council and have now brought a Superior Court appeal from the Council’s approval of it. Rescue Candlewood Mountain contends that the Siting Council committed irreversible error by approving the project in the face of the developer’s failure to provide critical information on the effect this massive razing of forestland will have on important natural resources on the site, including several vernal pools and the upland habitats of the rare species who depend on the forest and the pools for their survival. 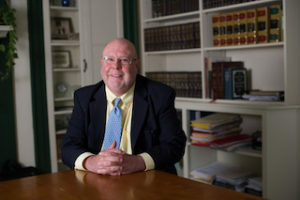 A 2017 Connecticut law requires denial of the fast-track declaratory ruling petition filed by the developers because DEEP—Connecticut’s environmental protection agency—told the Council that the Project will have a materially adverse effect on this core forest. The Council improperly ruled that the new law—whose obvious purpose is to protect the ever-increasing loss of forest in our state—did not apply to this petition because the developer filed it three days before the effective date of the law. 1) Failing to require the developer to submit a plan for decommissioning the Project—i.e. returning the area to its forested state when the project ends 20 years from its start date—and in the absence of any proof that the plan will ever be adequately funded. 2) Approving the Project in the hope that the developer would be able to have a 100 acre conservation easement put on another portion of the Property, when there was no proof in the record that either the current or prospective owner of the Property would ever agree to such a restriction. 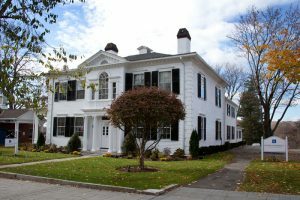 3) Approving the project even though the developer admitted that it had searched for no potential alternative sites anywhere outside of New Milford, and its investigation of alternatives within New Milford was perfunctory at best. 4) Approving the Project without requiring the developer to perform necessary environmental testing and studies, or to submit a meaningful stormwater runoff prevention plan that would protect nearby residences. The developer’s excuse was that there was no time to perform these studies or submit such plans because it had contract deadlines requiring it to start construction. Any one of the above deficiencies would warrant the Court’s reversal of the Council’s decision. But when viewed together, the inadequacy and absence of critical data and information regarding the environmental impacts of this massive project on a vital natural resource of the State make clear that the hearing and decision process was made subservient to the overriding goal of starting the clearcutting and installing the solar panels within Petitioner’s contractual deadlines. This manifest rush to judgment – especially in a matter that never should have proceeded as a declaratory ruling – stands on its head the Council’s statutory mandate to balance the State’s energy needs with the preservation and protection of our ever-diminishing natural resources. Certainly twenty megawatts of electricity to be sold to other states do not justify the destruction of 87 acres of core forest, especially when the state’s environmental protection agency opposes the Petition and the record is devoid of the information necessary for the Council to intelligently strike the statutory balance. The Council acted illegally, arbitrarily, without substantial evidence, and in violation of Plaintiffs’ fundamental due process rights in stamping its imprimatur on a project with such serious and irreversible environmental consequences in the face of the wholesale deficiencies in the Petition described above. For the reasons discussed above, Plaintiffs respectfully request the Court to reverse the Council’s Decision.